White color of tongue is not good sign. It indicates stomach and other body problems. The taste of food may decrease due to increase whitening of tongue. This problem occurs with people having more sweet, smoking, alcohol or whose stomach remains unclear. Take one lemon and keep light rock salt and turmeric. Rub it on tongue every morning. Problems might increase if whitening increase on tongue. In this situation, use more water, fruits and raw vegetables. Also, keep fast for 1-2 days. Do not intake hot food, tea-coffee and spicy food. One might face stomach problem, bile or infection problem. Darkness on tongue is the good sign. Take doctor advice if the taste and appetite decreases. Avoid having sugar. Do not drink juice. Avoid having junk food, guthkha and tea-coffee. Clean your tongue after having your meal. Tongue color becomes black. It indicates deficiency of folic acid, vitamin B12 and iron in the body. Red spots come on tongue due to infection in stomach or throat. In this situation, one should take medical advice. Drink wheat water daily. Use linseed, amla and mint. 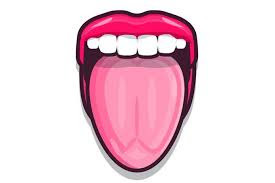 It is s not good sign to have crack or white line on tongue. In this situation, one might face stomach problems. One should have normal food. It is not good sign to have cuts on tongue. One should take medical advice if he/she faces cut problem on tongue. In this situation, do not drink water during meal. Do not use spices, tea, junk food, paan, smoking and alcohol. Do not use sour products. Drink plenty of water. Do gargling with camphor oil. Take medical advice and avoid having stomach acid. The red color of tongue indicates weakness in the body. In this situation, take care of children. Mind cannot work properly. The yellowness of tongue denotes anemia. In this situation, eat more food which increases blood. You can intake pomegranate and yogurt.